As the holiday season comes to an end, many Norwalkers have started focusing on their New Year’s resolutions in anticipation of a healthier 2018. 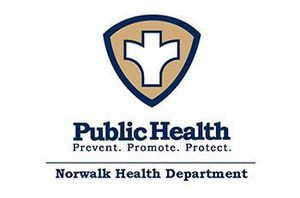 The Norwalk Health Department and Norwalk Public Library have teamed up for the fifth year in a row to offer Healthy Resolutions, a free, 8-session program structured to help participants achieve their goals for 2018. Beginning January 8, Healthy Resolutions will be held on Monday evenings from 7:00 – 8:00pm at the Norwalk Public Library, located at 1 Belden Avenue. The program will address several common New Year’s resolution topics, such as weight loss, reducing stress, and increasing physical activity, and will provide tools, resources, and community support to help participants stay on track throughout the year. New topics this year include mindfulness and the importance of maintaining a positive self-image. Each session stands on its own but builds on and complements the others, so participants are encouraged to attend the entire series. Participants will receive giveaways each week and will be entered in a raffle to be drawn at the final session on March 12. Prizes include a FitBit, gift cards to local restaurants, and a 12-month subscription to a meditation app. For more information or to register for the Healthy Resolutions program, please contact the Norwalk Public Library at 203-899-2780, ext. 15133. Learn how to set realistic and achievable goals, no matter what resolutions you’ve made for 2018. Learn how to reduce stress and stay positive, two keys to good health and success with any resolution. In addition, learn about the impact of your social network on your health and develop strategies for seeking support. Learn strategies to become more aware of your daily experiences, to pay more attention to your thoughts and feelings, and to experience life in the present moment rather than replaying past events or imagining what the future holds. Participate in guided meditation exercises to help you become more mindful. Being active doesn’t require an expensive gym membership or an intense workout routine. Learn ways to be physically active every day, no matter how active you are right now. Explore strategies and tools you can use to monitor your progress and track your success. If you resolve to eat a healthier diet in 2018, this workshop will provide information about the USDA’s MyPlate nutritional guidelines and will give you tips for incorporating healthier foods like fruits and vegetables into your family’s diet. We’ll talk about how to get the most from your visits to the doctor, what regular tests and screenings you might want to consider, and how to understand the results. Learn how to read nutrition labels and determine the amount of sugar that may be hiding in your favorite foods. This session will also provide tips for smart shopping at the grocery store. Build skills to overcome possible barriers or setbacks, and learn how to stay motivated for long-term success. The session will wrap up by tying together skills from the previous seven sessions and learning new tips to maintain your healthier lifestyle. Please note, there will be no session held on January 15 or February 19 in observance of federal holidays.